During Thanksgiving Weekend 2015, more than 14,000 tickets were issued to dangerous drivers; a 30 percent increase in tickets issued over 2014; nearly 220 DWI arrests made during holiday campaign. Albany, NY - December 3, 2015 - Governor Cuomo announced that the New York State Police issued more than 14,000 tickets as a result of increased enforcement efforts this Thanksgiving weekend. 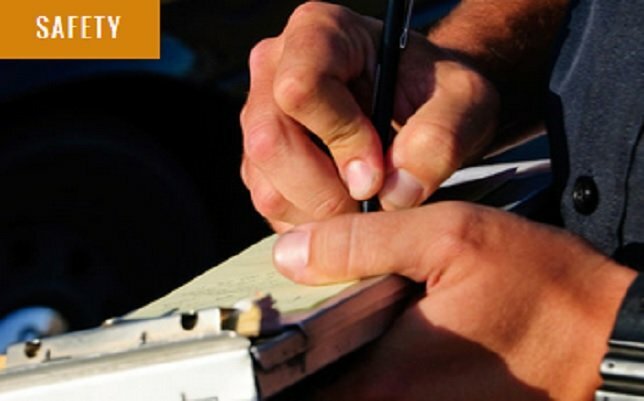 The enforcement period kicked off on Wednesday, November 25 and ran through Sunday, November 29, 2015. “New York has zero tolerance for impaired and reckless drivers who put themselves and others at risk," Governor Cuomo said. "I commend State Police keeping these dangerous drivers off the roads and helping to prevent needless tragedies this holiday weekend." Troopers issued a total of 14,468 tickets during the Thanksgiving campaign, including 5,910 for speeding, 715 for distracted driving, and made a total of 218 DWI arrests. State Police ramped up patrols across New York, focusing on speed enforcement, impaired driving, underage drinking, and distracted driving. The effort incorporated fixed sobriety checkpoints, an underage drinking initiative, and "Operation Hang Up,” a comprehensive program which targets drivers talking or texting on handheld devices. More than 5,000 vehicles passed through these checkpoints during the holiday weekend. With Thanksgiving typically seeing the highest traffic volumes of the year, and alcohol consumption widespread, an increased police presence works to protect millions of travelers across the state. During Thanksgiving weekend 2014, State Troopers arrested 172 drivers for DWI, issued 4,237 speeding tickets, and gave out 565 tickets for distracted driving. According to the National Highway Traffic Safety Administration, in 2013, 301 people were killed in traffic crashes nationwide during the holiday weekend. This year, State Police investigated one fatal accident that resulted in a single death over the same time period. Throughout the campaign, State Troopers were at the scene of more than 1,100 accidents. Subject: LongIsland.com - Your Name sent you Article details of "Governor Cuomo Announces Results of State Police Crackdown on Impaired, Distracted & Speeding Drivers During Thanksgiving Weekend 2015"